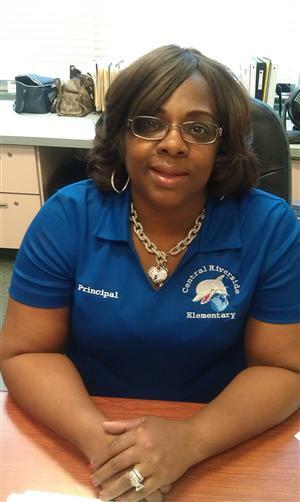 I’m excited and honored to welcome each and every one of you to the beginning of a new school year at Central Riverside. I hope each of you had a wonderful summer and that it was filled with great moments and memories. Over the last few months since I’ve seen many of you, I’ve had time to reflect on the 2017-2018 school year. We’ve certainly accomplished a great deal and made some significant changes. This year will be filled with more changes and obstacles, but I truly believe that we will continue to accomplish our goals based solely on the most important element: YOU. As I think about this school year, I’m excited about the next chapter we are about to write. We will remain steadfast to the commitment of our student, parents and stakeholders. While we refine the ways we collaborate, make decisions, and solve problems together, we will be putting a strong focus on continuing to build community with each other. This year will be a year of setting and reaching attainable goals, working harder and smarter and taking our school and student achievement to the next level of GREATNESS. Our theme for the 2018-2019 school year is “Oh The Place You’ll Go”. At Central Riverside, we strive to be a faculty and staff that encourages and support each other, to ensure we all reach our highest potential. Central Riverside Elementary School is a great place to be. We believe that strong community-school relationships are essential to high academic achievement. Find any successful school and you will also find parents and community members that are involved and supportive of the school. Your support is greatly appreciated and remember – IT’S GREAT TO BE A DOLPHIN! !